Resorts World Catskills in New York will open its doors to the public on February 8, 2018. Although the casino will entertain guests, the grand opening is more than a month ahead. According to Lohud.com, the facility will open ahead of schedule. Also, this will give workers a chance to welcome visitors. During this time, visitors who will prefer to stay can do so. 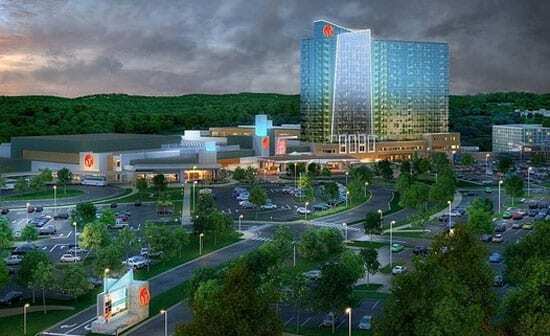 Is Resorts World Catskills New York Ahead Of Schedule? The Grand and the official opening of the casino will take place in May. The exact date is yet to be out. The facility’s president Ryan Eller says that he is happy for his workers. “Our staff is working tirelessly. Above all, this is to ensure that when we open, we’ll be ready. We want to be ready to provide our guests an unparalleled experience,” says Eller. After this reports by the site, there is another announcement. This time it is from William Rieber Jr. William confirms that the facility receives a temporary occupancy certificate. Also, this means the casino is safe to host visitors. William is the facility’s supervisor. He says that the resort gets the certification on December 28, 2017. The go-ahead comes from the town of Thompson. Earlier reports indicate that the casino is opening on March 1. Many think that construction will end in mid-February. Then opening will follow on March 1. But now things are happening fast. The building is ready by January, and there is no need to take long. Also, this is why the facility will open on February 8, before a grand opening in May. This facility in Upstate New York cost the owner $1.5 billion. You can find this casino in Thompson Town, Sullivan County. From New York, you will travel north for about 90 miles. The facility sits where Concord Resort once sits. The aim of building this resort is to try and bring visitors to Catskills. • Opening date: February 8, 2018. • Table games available: 130. • The facility will open 24/7. • There is valet parking. • Convention space: 24, 000 square feet. • Casino space: 100, 000 square feet. Other amenities in the facility are the Thompson Hotels, Spa, and salon. There is also a Fitness Center, Bars, poker room, indoor waterpark, and Bistecca restaurant. Speaking how vital the opening is, the facility’s Vice President says they are happy. He mentions that the aim is to try and bring visitors to Catskills. “With our opening, we look forward to driving tourism to the Catskills. We aim at stimulating the economy and making meaningful contributions. This will help put the Catskills back on the map. We need it be the premier getaway and true destination,” says Charles Degliomini. Resorts World Catskills is the fourth and last among non-Native facilities. The casinos received a license of operation in 2015. The other three casinos are Rivers Casino and Resort, and Tioga Downs Casino. The last facility is del Lago Resort & Casino.